There is controversial evidence regarding whether foot orthoses or knee braces improve pain and function or correct malalignment in selected patients with osteoarthritis (OA) of the medial knee compartment. However, insoles are safe and less costly than knee bracing if they relieve pain or improve function. We therefore asked whether laterally wedged insoles or valgus braces would reduce pain, enhance functional scores, and correct varus malalignment comparable to knee braces. We prospectively enrolled 91 patients with symptomatic medial compartmental knee OA and randomized to treatment with either a 10-mm laterally wedged insole (index group, n = 45) or a valgus brace (control group, n = 46). All patients were assessed at 6 months. The primary outcome measure was pain severity as measured on a visual analog scale. Secondary outcome measures were knee function score using WOMAC and correction of varus alignment on AP whole-leg radiographs taken with the patient in the standing position. Additionally, we compared the percentage of responders according to the OMERACT-OARSI criteria for both groups. We observed no differences in pain or WOMAC scores between the two groups. Neither device achieved correction of knee varus malalignment in the frontal plane. According to the OMERACT-OARSI criteria, 17% of our patients responded to the allocated intervention. Patients in the insole group complied better with their intervention. Although subgroup analysis results should be translated into practice cautiously, we observed a slightly higher percentage of responders for the insole compared with bracing for patients with mild medial OA. Our data suggest a laterally wedged insole may be an alternative to valgus bracing for noninvasively treating symptoms of medial knee OA. Level I, therapeutic study. See the Guidelines for Authors for a complete description of level of evidence. This work was performed at Erasmus University Medical Center. Knee OA is one of the most common joint disorders and causes considerable pain and immobility . Many patients present with predominant medial compartmental knee OA . The initial treatment is nonoperative and consists of patient education, weight reduction, physical therapy, and, if needed, medication. Drugs rarely relieve the symptoms entirely and mainly act as a palliative agent. Other rehabilitative interventions are based on altering knee biomechanics, which may influence the development and progression of knee OA [4, 23]. In selected patients with OA of the medial compartment, improvements in pain, function, and loading forces reportedly occur with valgus unloader knee braces . One randomized controlled trial (RCT) suggested knee bracing resulted in better knee function compared with no brace in patients with OA with varus malalignment . Many patients in that study, however, did not adhere to brace treatment, mainly because of skin irritation and bad fit. This may prevent good outcomes in the long term. However, whether bracing corrects malalignment remains controversial [10, 15, 20, 21]. Like knee bracing, laterally wedged insoles may unload the diseased compartment , and two studies suggest wedges may correct varus malalignment [16, 26]. One crossover study showed no effect of wedged soles in an elderly population with advanced stages of OA . However another study reported an improvement of symptoms in patients with mild to moderate OA treated with laterally wedged insoles . Another study reported a similar effect while observing decreased NSAID intake when foot orthoses were used to treat knee OA . A Cochrane review concluded there is some evidence that foot orthoses have additional beneficial effects in the treatment of symptomatic knee OA . Laterally wedged soles may represent a substantial potential in the treatment of symptomatic knee OA because they are safe and generate fewer costs than knee bracing. Furthermore, foot orthoses are easy to apply, and good adherence to the intervention has been reported [1, 25]. We therefore asked whether laterally wedged insoles would result in reduction of pain and improvement in WOMAC function scores compared with valgus bracing in patients with symptomatic medial compartmental knee OA. We also asked whether both treatments would correct knee malalignment in the frontal plane. We conducted a prospective open-label (completely unblinded) parallel RCT in patients with symptomatic medial compartmental knee OA. All patients had been treated initially according to the practice guidelines by the Dutch College of General Practitioners; including patient education, physical therapy and, if needed, analgesic use. We diagnosed the OA as medial when pain and tenderness in combination with osteoarthritic signs according to the Kellgren-Lawrence system of Grade 1 or higher were located over the medial tibiofemoral compartment of the knee . The radiographic score was measured on digitalized standard short posteroanterior radiographs taken of the patient in the standing position. Patients with symptoms not related to medial compartmental OA, younger than 35 years, an insufficient command of the Dutch language, or no varus malalignment were excluded. The degree of knee alignment was assessed by the hip-knee-ankle (HKA) angle and measured on a digitalized whole-leg radiograph taken with the patient in the standing position. Earlier we reported high intraobserver (ICC = 0.98; 95% CI = 0.94–0.99) and interobserver (ICC = 0.97; 95% CI = 0.94–0.99) agreement for measurement of the HKA angle using this technique . The HKA angle was defined as the angle between two prolonged lines: one line of the center of the femur head to the top of the femoral notch and a second line from the center of the ankle to the center of the tibial spines. A positive value represented varus direction; patients with an HKA angle of 0° or less were excluded. The sample size calculation was based on the baseline mean visual analog scale (VAS) score for pain of 6.0 and SD of 2.2 in the study of Brouwer et al. who included patients according to similar criteria. We estimated a 1-point difference in VAS between the two groups would represent a clinically relevant difference, being 15% of the baseline score. To detect such a difference with two-sided testing (α = 0.05 and power of 80%), we needed 40 patients in each group. With the assumption of 15% rate of loss of followup, we included 92 patients. Therefore between January 2006 and September 2007, we recruited 92 patients meeting our criteria; one investigator (TMR) enrolled all participants. One patient with medial compartment OA and clinical varus alignment was excluded because of valgus alignment assessed on the whole-leg radiograph, resulting in a total sample of 91 patients. There were 45 patients in the insole group and 46 in the bracing group (Table 1); four patients in the insole group and four in the bracing group were lost to followup. Four patients in the insole group and six in the bracing group changed their initial treatment during the 6-month followup to other nonoperative or surgical treatment (Fig. 1). The primary reason was no effect of treatment (four of four patients in the insole group, and three of six patients in the brace group); but other reasons included bad fit, reduction of symptoms, and increased crepitus at the knee. * Values are expressed as means, with SDs in parentheses; †positive angle represents varus alignment; VAS = visual analog scale; HKA = hip-knee-ankle angle. A flowchart shows the study course. Participants were randomized according to a computer-generated procedure (block randomization, with variable sizes of the blocks); the randomization codes were held by an independent observer (MR) to ensure masked blocking. The participants were randomly allocated to their groups after informed consent had been obtained and all baseline measurements were completed. At baseline, we recorded age, gender, body mass index, severity of radiographic OA, varus alignment, analgesic use during the previous month, estimated average for pain severity during the previous week on a VAS (0–10, with a lower score representing less pain), and knee function using the WOMAC score (0–100, with a higher score representing better outcome) . Participants were assigned either to an intervention group receiving a shoe-inserted leather sole with a lateral-wedge cork elevation of 10 mm along the entire length of the foot (Fig. 2) or to a control group receiving a knee brace. The shoe-inserted sole was custom made and fitted by a specialized orthopaedic shoe technician. The valgus knee brace was commercially available for the right/left leg in four sizes (MOS Genu®; Bauerfeind AG, Kempen, Germany) and consisted of a thigh shell and a calf shell connected by coated aluminum hinges on the medial and lateral sides (Fig. 3). A specialized orthopaedic technician applied the brace. The degree of valgization depended on the degree of malalignment and the acceptance of the patient. Participants were instructed to wear the insole or brace as much as tolerated, and they were asked to register the number of hours per week they wore the insole or brace. An image of a left foot shows the leather sole and a laterally wedged cork elevation of 10 mm (6° wedge). An image of a left knee shows the MOS Genu® knee brace. At 6 months, one nonblinded investigator (TMR), a trained orthopaedic surgeon, assessed the followup measurements including VAS  and WOMAC scores, physical examination, analgesic use, and the mean number of hours per week the participants had worn the insole or brace. The primary outcome was pain severity using the VAS. Secondary outcome measures were knee function using the WOMAC subscale  and varus alignment correction in the frontal plane using the HKA angle. The difference in degrees between the HKA angles assessed on a whole-leg radiograph with and without wearing the insole or brace was used. Responders to the treatment were defined as having an improvement of 20% or more compared with the baseline score for pain (VAS) and function (WOMAC function subscale score) in accordance with the OMERACT-OARSI set of responder criteria . The optimal amount of time to wear an insole or brace during the day has not been determined, and compliance remains arbitrary. Patients who were compliant were defined a priori as patients using the insole or brace more than 42 hours a week (7 days times 6 hours, which represents 75% of the working day). We established whether the variables had a normal distribution using the normality Shapiro-Wilk test. Based on these analyses, the results are presented as means and SDs. Linear regression for continuous outcome measures (VAS pain, WOMAC function, and HKA angle) and logistic regression for binary outcome measures (responder yes or no) were used to analyze the treatment effect. Because we did not standardize medication use, we adjusted all analyses for medication use during the study. In addition we adjusted for gender being an unbalanced covariate. The last-value-carried-forward method was used for the missing data of patients lost to followup. The primary analysis was “by intention to treat” in that all participants properly randomized were included in the analysis even if they did not receive the treatment they were allocated to receive. A secondary analysis was limited to the 73 participants who received (or were compliant with) the treatment to which they were randomized (per protocol analysis). Subgroup analysis was performed for patients with medial knee OA lower than Kellgren-Lawrence Grade 2 versus Grade 2 or higher because it has been suggested laterally wedged insoles are more effective in early medial compartment knee OA . The effect size was calculated as the difference in mean outcomes of the insole group and brace group, divided by the SD of the outcome in the brace group . We used SPSS® Version 15.0 (SPSS Inc, Chicago, IL) for statistical analysis. After 6 months, we observed no differences between the insole group and the brace group for VAS pain scores (mean, 0.06; 95% confidence interval [CI], −1.05, 0.93; effect size, 0.03) and WOMAC function scores (mean, 0.15; 95% CI, −7.95, 7.65, effect size, 0.008). Compared with baseline, the pain severity and WOMAC function scores improved in both groups (Table 2). The intention-to-treat and per-protocol analyses showed no differences in percentages of responders (improvement of ≥ 20% compared with the baseline scores for VAS pain and WOMAC function) between the insole and the brace groups (13% versus 20% and 14% versus 18%, respectively). * Values are expressed as means, with SDs in parentheses; †four patients were lost to followup; ‡values are expressed as means, with 95% confidence intervals in parentheses, and are corrected for gender and use of pain medication at baseline and followup; VAS = visual analog scale; HKA = hip-knee-ankle angle. Varus alignment correction when wearing the insole or brace was similar in the two groups (−0.22; 95% CI, −0.68, −0.25; effect size, 0.22). The mean varus alignment (HKA angle) for the insole group (6.9°; SD, 3.6°) was similar (p = 0.8) at baseline compared with when wearing the wedge (6.9°; SD, 4.1°). The mean HKA angle for the bracing group was similar (p = 0.3) with (7.0°; SD, 3.6°) and without the brace (6.7°; SD, 3.2°). At 6 months, 71% of patients in the insole group complied with the treatment, which was greater (p = 0.015) than 45% for the brace group. The laterally wedged insole was worn longer (p = 0.006) during the week, with a mean of 57.8 hours (SD, 28.8 hours) in comparison to a mean of 38.8 hours (SD, 32.2 hours) for the knee brace. Subgroup analysis stratified for patients with mild OA (Kellgren-Lawrence Grade 1) showed a slightly greater (p = 0.068) percentage of responders in the insole group (46%) than in the brace group (15%). Skin irritation was the main complaint in the brace group (n = 10), and two patients had small blisters develop that had no clinical consequences. Seven patients experienced a bad brace fit. Five patients had difficulty fitting the laterally wedged sole into different pieces of footwear. There is controversial evidence regarding whether foot orthoses or knee braces improve pain and function or correct malalignment in selected patients with OA of the medial knee compartment. Insoles may represent a substantial treatment potential because they are safe and generate fewer costs than knee bracing. We asked whether laterally wedged insoles or valgus braces would reduce pain, enhance functional scores, and correct varus malalignment. Our study was limited by several issues. First, the assessor was also the caregiver, and the one who informed the patient about the aims of the study. Although the kind of interventions did not allow blinding of patients, the study would have been stronger by blinding the assessor for the functional outcome measurement (clinical knee score), eg, by using an independent assessor. Second, the study was not powered to perform explorative subgroup analysis. We used an exploratory approach but realize we did not determine our sample size to test for subgroup interactions. Interaction tests have high false-negative risks, and results should be translated into practice with caution . Third, our power permitted us to detect a 15% difference in pain reduction from baseline between the two groups. In hindsight, this may have been too optimistic because a recent crossover study failed to show changes greater than 10% between a neutral and a laterally wedged insole . Changes in knee loading attributable to lateral shoe wedges and valgus bracing are small . These small effects for the insole and brace groups probably prevented us from observing differences between the two treatments. Fourth, this study had a comparative effectiveness design, and the lack of a true control group may mean the changes observed in both groups are not real. Fifth, the study was conducted in a tertiary referral university medical center that may affect the external validity of the study. However, the eligibility criteria were not highly selective and we believed the potential recruits were representative of patients in the local community. We found no differences in pain reduction and knee function improvement for laterally wedged insoles compared with valgus knee bracing for treatment of medial compartment knee OA after 6 months. According to the OMERACT-OARSI set of responder criteria for clinical trials in OA, 13% and 20% of our patients benefited from either the insole or brace treatment. Neither treatment achieved correction of knee varus malalignment in the frontal plane. The compliance in the insole group was greater compared with that for brace therapy, and the laterally wedged insole was worn longer during the day with a mean of 8 hours compared with 5.5 hours for the brace. Subgroup analysis showed a better effect for the insole compared with the brace for patients with mild medial OA. Kirkley et al. described improvement on the WOMAC pain scale of 9% in 41 patients treated with an unloader valgus brace, which was better than a nonbraced control group. Brouwer et al. noted a better knee function score (an improvement of 4 units of 100) after valgus bracing compared with nonbracing in a group of 95 patients with medial knee OA. A recent crossover RCT concluded wedged shoe insoles were not efficacious in patients with medial knee OA . They compared laterally wedged insoles with neutral insoles, which may act as shock absorbers and relieve symptoms . We found a laterally wedged insole and a knee brace improved pain by a mean of 1 unit (of 10) and function by a mean of 4 units (of 100) from baseline. The OMERACT-OARSI defines a response to the treatment as having an improvement of 20% or greater for pain and function compared with baseline . We found no difference in percentage of responders (13% and 20%; respectively) between treatments after 6 months of followup. Pham et al. also reported low percentages of responders for pain (27%) and function (29%) in patients treated with a laterally wedged insole after 12 months. 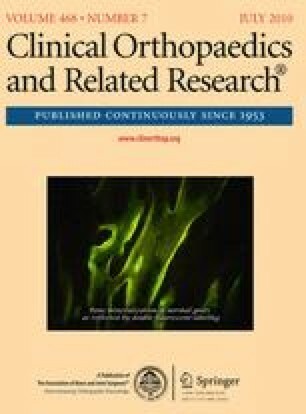 It may be too ambitious to expect a 20% or greater improvement in function, especially when one bears in mind established operative treatments such as valgus-producing high tibial osteotomy in patients with adequate correction achieved only 12% improvement on a 100-point Hospital for Special Surgery scale 1 year postoperatively . The insole and the knee brace failed to reduce varus malalignment. Some authors have suggested lateral-wedge foot orthoses and braces unload the diseased medial compartment and improve symptoms by providing valgus stress [10, 25]. We used a 10-mm cork elevation, which represents a 6º lateral wedge, because more elevation is uncomfortable to wear . A specialized orthopaedic technician applied the noncustom-made knee brace and adjusted valgus alignment as tolerated. Our analysis showed no reduction in varus malalignment with the use of a laterally wedged insole or a knee brace. Alignment only provides a static impression, and correction in the frontal plane may not affect clinical outcomes in the short term. Ramsey et al. reported that when knees with medial compartment OA are braced, neutral alignment performs as well as or better than valgus alignment. Studies on the gait of a small number of patients suggest insoles and knee braces reduce the adduction moment about the knee [16, 24]. The improvement in knee pain we observed in both groups may be attributed to unloading of the diseased compartment during gait. The optimal amount of time to wear an insole or brace during the day has not been determined. Shoe inlays potentially may reduce knee stresses by acting as a shock absorber  whereas proprioception may play a major role in the working mechanism of a brace . We defined compliance rather arbitrarily as occurring in patients wearing the insole or the brace 6 hours a day. Although compliance was greater in the insole group than in the brace group, no differences in clinical outcomes could be detected after 6 months. One study on brace treatment attributed pain relief to reduction of muscle cocontractions . Reduction of muscle cocontractions may continue even after removing the insole or brace, which would result in a lasting effect. Perhaps there is a threshold in time after which wearing the insole or brace does not contribute to the effectiveness. Ogata et al. suggested laterally wedged insoles are most effective in patients with low-grade OA. Based on explorative subgroup analysis, we found almost ½ of our patients with medial OA (< Kellgren-Lawrence Grade 2) responded to the laterally wedged insole after 6 months. Few alternative treatments for patients with symptomatic mild knee OA exist. Correction osteotomy in active patients has good results , but surgery can present complications. We found a 10-mm laterally wedged insole was well tolerated and provided a borderline better response than valgus bracing in patients with Kellgren-Lawrence Grade 1 OA. Especially for patients who do not want to undergo surgery, this may provide an alternative treatment option, which may be the focus of future research. Few good clinical studies have been published on orthoses or bracing for treatment of medial compartment knee OA. So far, no RCT has compared both treatments head-to-head. Based on our data we conclude laterally wedged insoles may be an alternative to knee bracing for noninvasively treating the symptoms of medial knee OA. We thank W. J. H. C. van Raaij, who managed the clinical scores data.